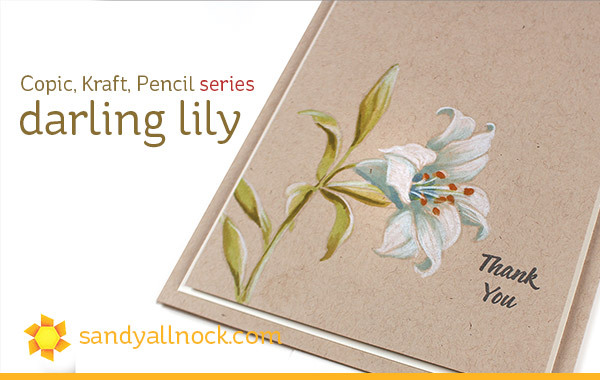 The Darling Lily stamp by Altenew is so pretty, and so ready for Easter – and yet has no Easter sentiments. 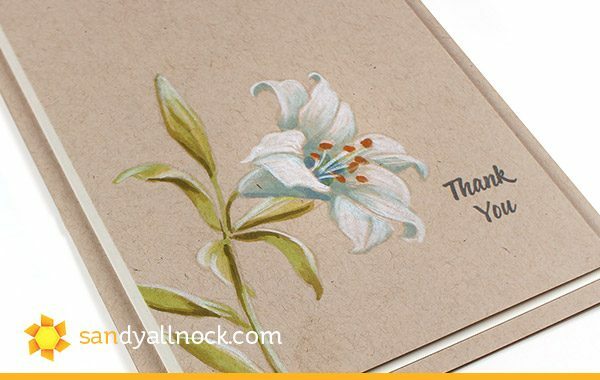 But it makes for a lovely thank you card or any theme throughout the year – pretty flowers are always in season. Just a few colors to use on this pretty lily…. I kept the deisng super simple – just a layer of white paper, and a Desert Storm card base to match the coloring panel. I love how white pencil shows up, yet remains soft! The Bible journaling page was created first by making a cross from 2 strips of washi tape; I stamped the flowers and leaves on the right half with the tape in place. I removed it, then stamped the upper left flower while masking off the horizontal bar only with a sticky note. The rest were stamped on top, though I wished after that I had masked the tail end of the stem of the flower! 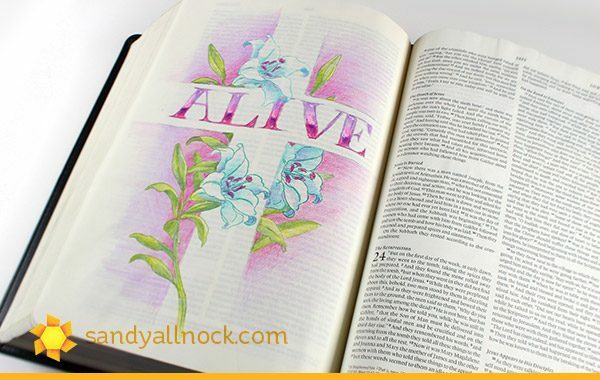 The demo of the text was created in one of my books – the workbook, printed on Bible paper. It’s a great place to practice art and techniques before putting them in your Bible. Or, like me, a way to go backward and teach something I did in my Bible, but since that page is taken – I can still create it on Bible paper in the workbook! The only place you can get signed books and workbooks is at Ellen Hutson (links below) – be sure to order one for your Mom for an Easter gift! 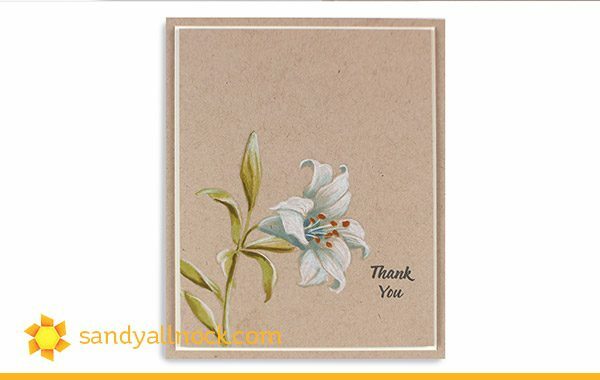 A beautiful card Sandy with the Lily. Just bought desert storm card stock but haven’t used it yet so this has given me inspiration. Thank you. Also do your inks when you stamp in your bible bleed through the next page and so you just use pencils to colour. My schedule got jumbled—it’s coming this Sunday. Hi Judy! Welcome. The supplies are listed in the list at the bottom of the post. For the bible page, did you page prep at all? Did the comics bleed thru? 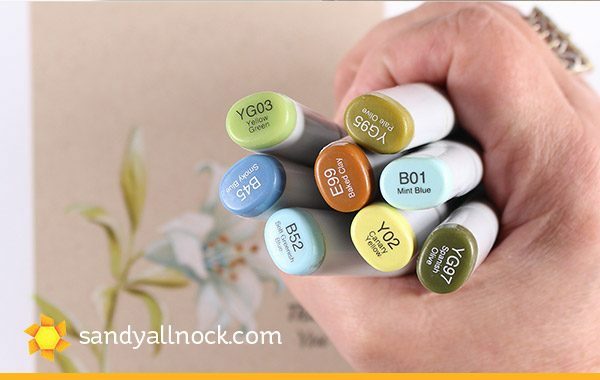 What color did you use to stamp the lilly in the bible for no line watercolor? Thanks. You do beautiful work. No copics on the Bible page. Its not no-line, it was stamped in a blue pigment ink and colored in pencils. No page prep. Breathtaking, Sandy! Every stroke brings such life to the image and lettering! Gorgeous card Sandy, love how you coloured it and great tips. Your beautiful letters in your Bible Journal where awesome to see and I must give letters like this a try. Thank you so much for showing. I just love to watch you color Sandy. This is such a beautiful card. The older I get I’m just not as steady handed as I used to be so sometimes coloring can be a challenge for me. And no line, no way. lol Thanks for sharing your beautiful card with us. 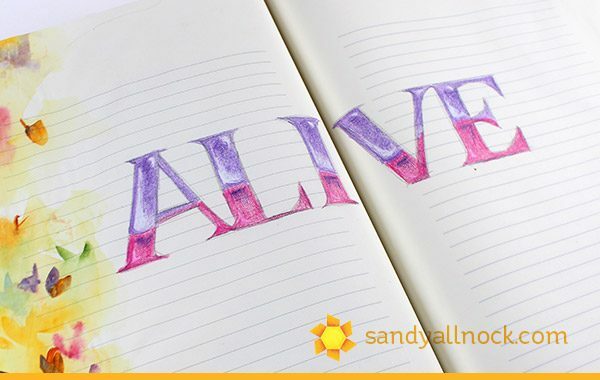 Sandy your Bible Journaling books look so interesting. Confused as to which one to get first. What do you recommend – which one should I start with? Thank you. It depends—-if you already know what you’re doing the workbook can be a big help in practicing. But if you’re really new the main book teaches the basics. And the workbook would help a lot in practicing. A lovely card Sandy! I wish I had just a portion of your talent- I so appreciate you sharing your tips & creations!